It's getting closer! In just a month's time the gift giving will commence and you'll be out of time. Fortunately we're still pumping out the present-buying inspiration, with four more random gift ideas for you to consider. Aren't you lucky? We love Sugru here at The Test Pit. Since reviewing the self-curing rubber product a few years back we've always kept a close watch on the company's latest releases and crazy builds. 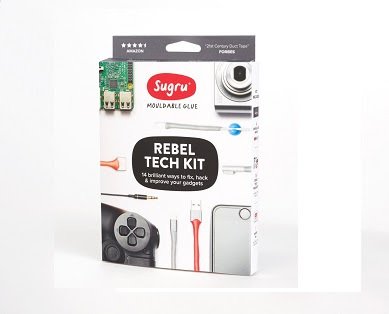 Their newest is a helpful and inspiring gift pack called the Rebel Tech Kit; a pack of four Sugru sachets and a booklet crammed with ideas. You get red, white, black, and silver Sugru, and a Sugru removing pick. The booklet shows all the ways the miracle stuff can be used around your home, from child-proofing a camera, to making cable tidies, hooks, and feet for your gadgets. As ever, using this stuff is a tonne of fun, and having a packet or two around the house is great for emergencies, be it for your gadgets, or even for patching holes in your boots. A great introduction to Sugru, and a perfect gift for tech fans and makers. For the fitness fans you know, here's a nifty gift idea that comes straight from the heart. Boom boom! 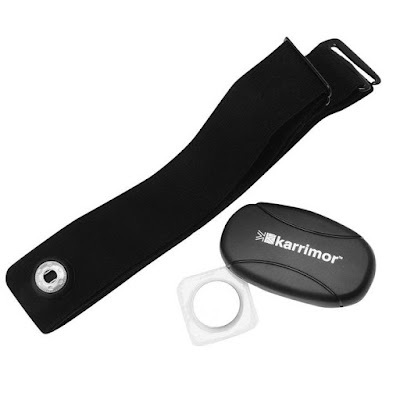 This tiny monitor from Karrimore is not much bigger than a watch face and comes with an adjustable chest strap. 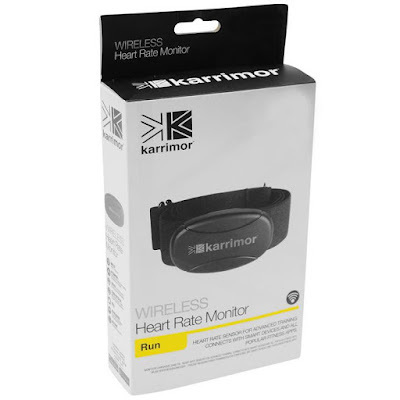 It is designed to be discreetly worn under clothing while exercising, connects wirelessly to a number of smartphone running apps, and is also splash proof. So, y'know, good for sweaty people. The fact that it is compatible with most of the popular sports apps (on both iOS and Android) means it can be seamlessly fitted into your, or your intended's, regular workout routine. Furthermore, it's light, seems to sync well with all the apps we tried it on, and – good news for you – cheap. Staying on a fitness theme, how about something for someone who cares not a jot about the wintry weather during their workouts? For swimmers, we recommend the Michael Phelps XCEED Goggles and we're sure that they will XCEED your expectations. Boom boom! Michael Phelps, Aqua Sphere, and Olympian Bob Bowman have all collaborated together to make these goggs, using Aqua Sphere's specially curved lenses to open up the swimmer's field of view to almost 180 degrees – important for racers. But aside from that, they adjust to most adult face sizes, are comfortable on, and do an excellent job of keeping the wet stuff out of your eyes. Look pretty neat, too. And you thought this was shaping up to be quite a sensible Stocking Fillers feature. Nah. 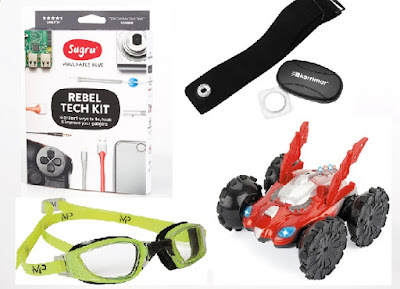 Everyone needs constant ideas for kid gifts, or just an idea for an adult you know who has – brilliantly – never grown up. The Toyrific 360 Degrees Remote Control Stunt Psycho is such a gift, being a remote control car that does so much more than simply drive around your living room carpet. We mean, come on... it's called a 'Psycho', which should tell you all you really need to know. 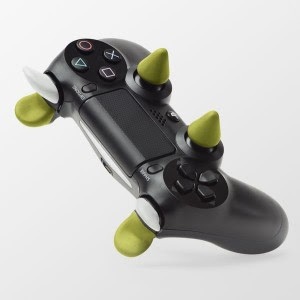 The simple controller means that kids can flick from trick to trick, performing flips, rolls, and 360 spins. Oh, and it can drive on water, too. No joke, this thing can float because of those big wheels, and as it kicks up plenty of spray and wetness, it will power along quite capably. Bags of mental fun.